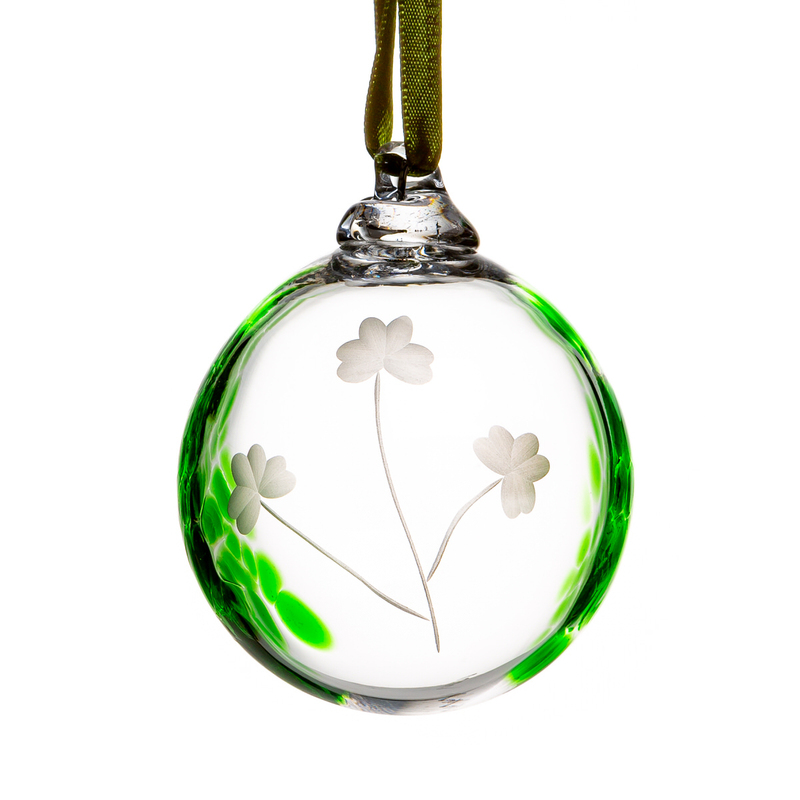 A Beautiful handmade bauble with hints of emerald green and shamrock etching. A Beautiful handmade bauble with hints of emerald green and shamrock etching. A real piece of Ireland, Welcome Home !